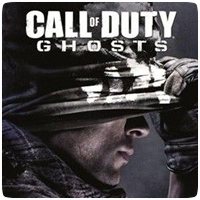 Activision has released a live action trailer for their upcoming first-person shooter, Call of Duty: Ghosts, featuring Hollywood actress Megan Fox. The trailer has been helmed by James Mangold who has previously directed The Wolverine, Walk the Line and Girl, Interrupted, and is full of explosions and over the top action to a Frank Sinatra soundtrack. Megan Fox is a fan of video games so her inclusion in the trailer is appropriate.